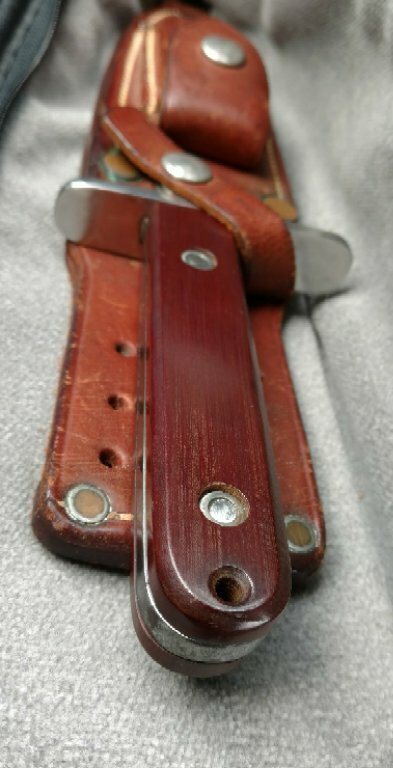 I have a model 14 with a micarta handle (mid 1960’s, solid, no screws). I cant tell if its black or brown. I took photos... on a white background it looks black and on a black background it looks brown. Was there a color in between brown and black? Last edited by digi-shots; 09-05-2018 at 10:01 PM. My guess is black Micarta. I have a mid 60's Brown Micarta Astro, looks different in different light, but in sun, its brown. Take a shot of it in sunlight. Thanks... that’s a great looking Astro! 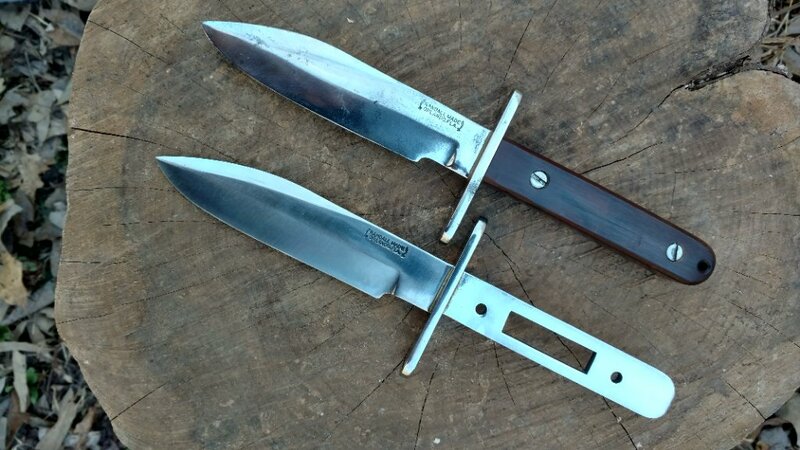 I read that brown micarta (1964-65) was replaced by “veined green” which was actually black canvas micarta. This “veined green” black micarta looks and turns brown/yellow with age giving it a brownish hue. I’ll take some pics in full sun and see what is looks like. Last edited by cut_n_run; 09-06-2018 at 02:07 PM.